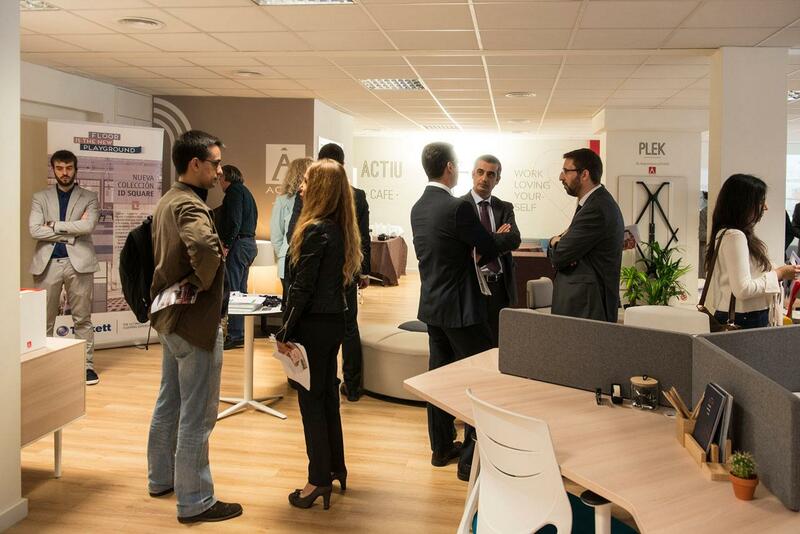 The office of the future, who is setting the trend? 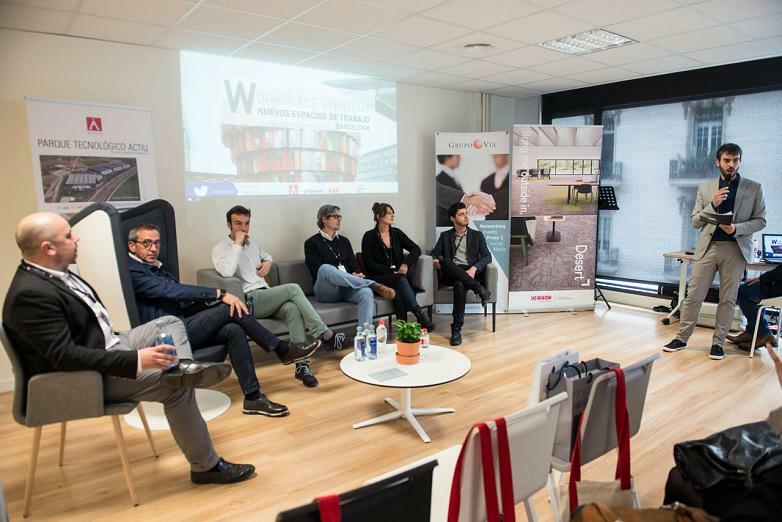 Who decides the future of offices? 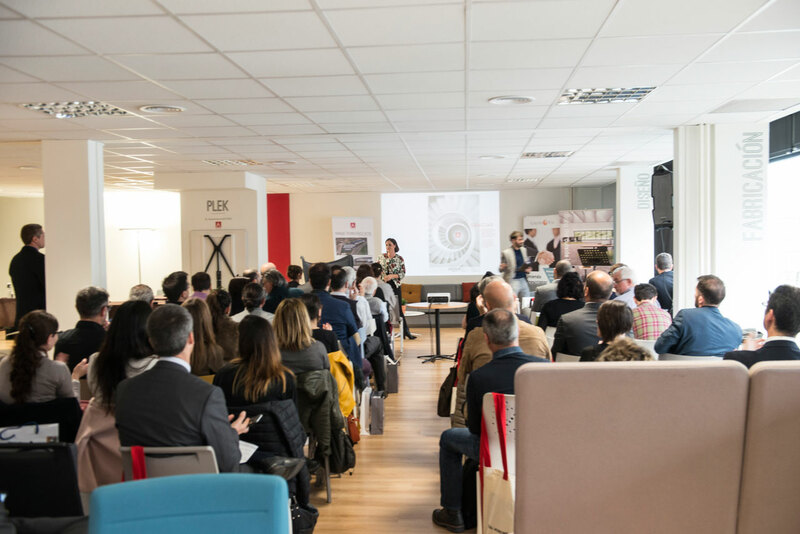 Without a doubt, global access to communication, technology and the work of architects and interior designers directly influence the equipment and way of offering office space design. 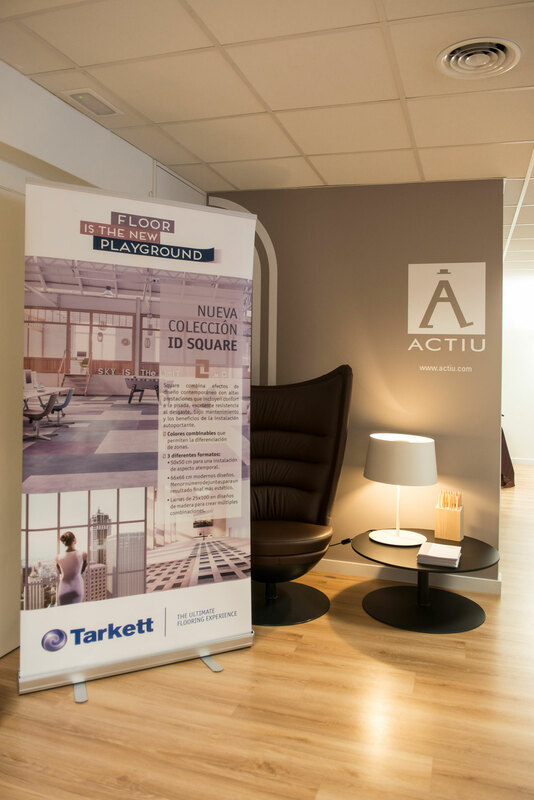 However, the question lies in if the design is truly efficient for a work space in its day-to-day. 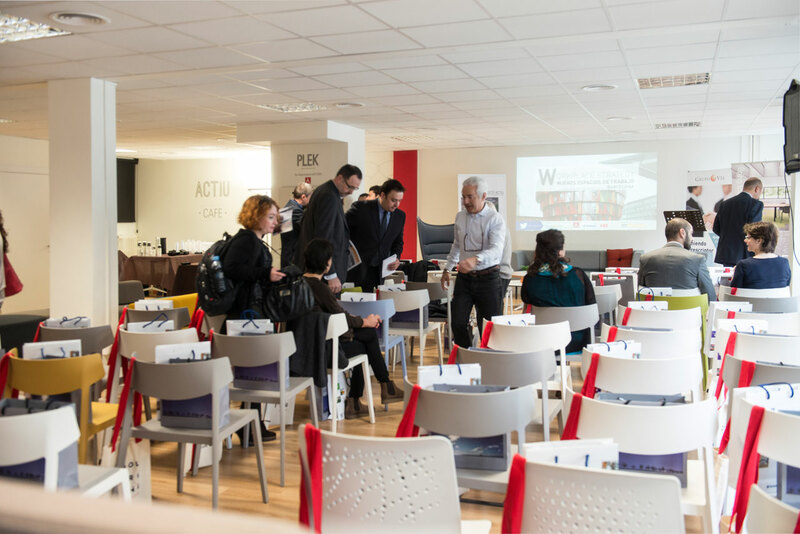 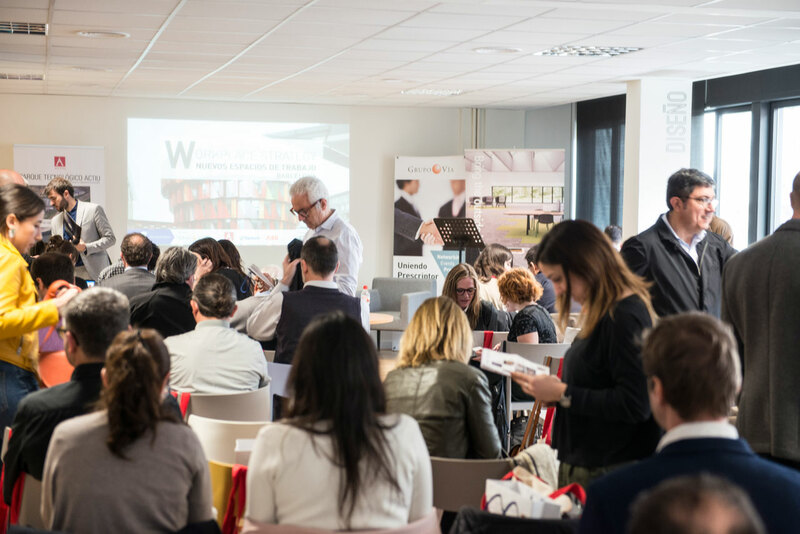 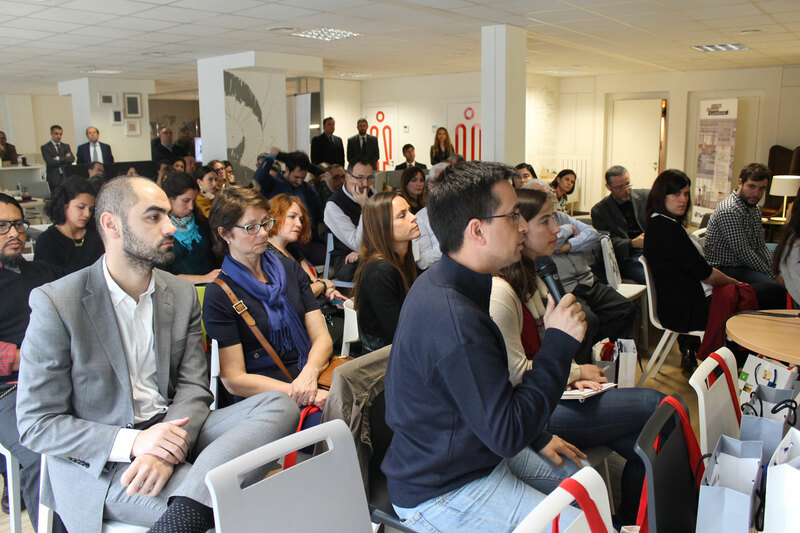 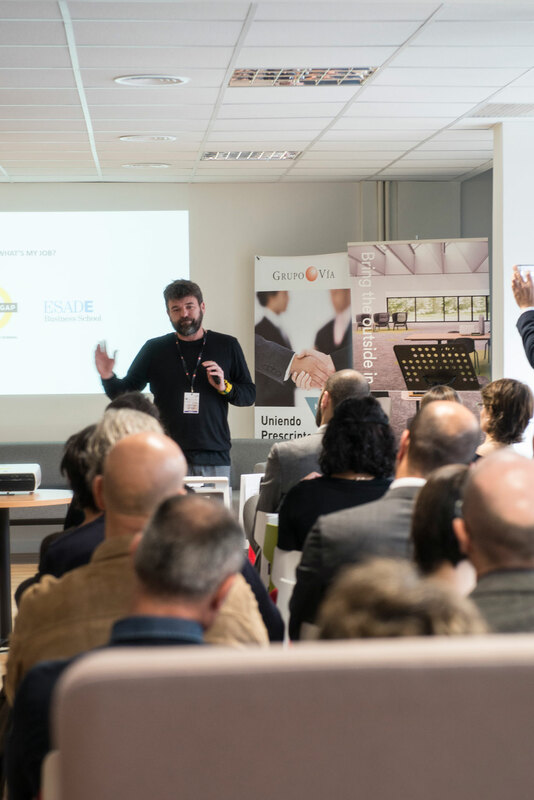 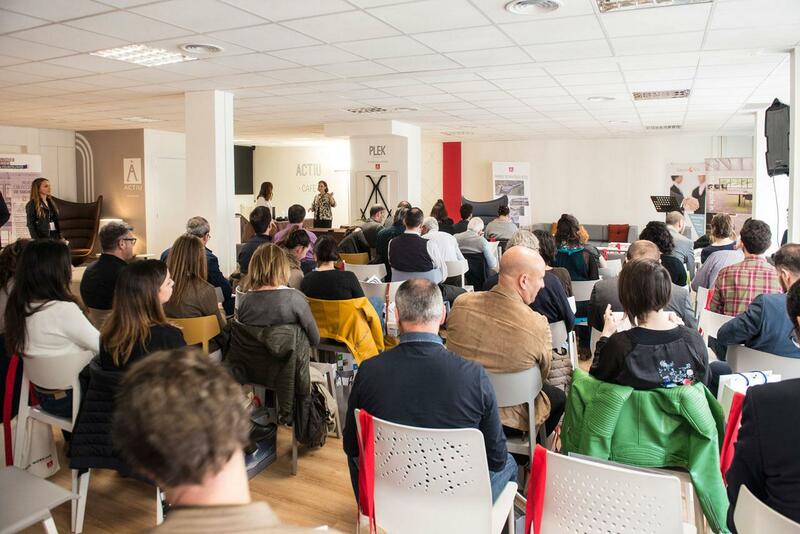 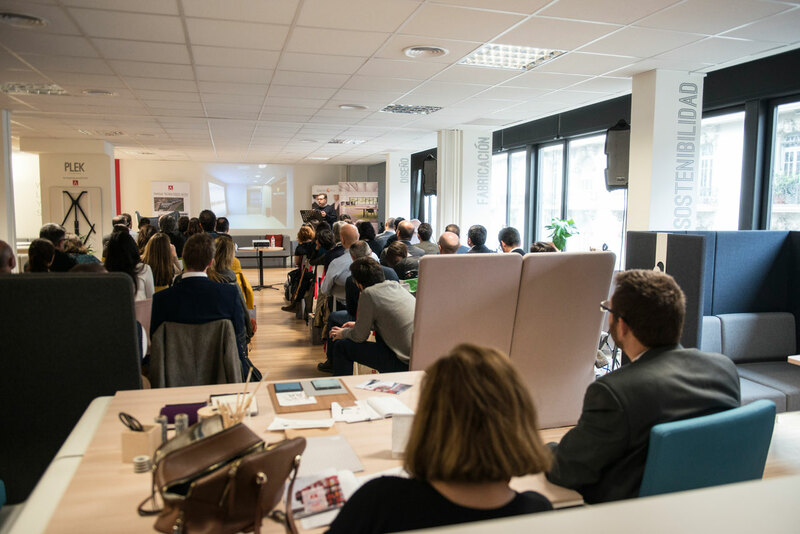 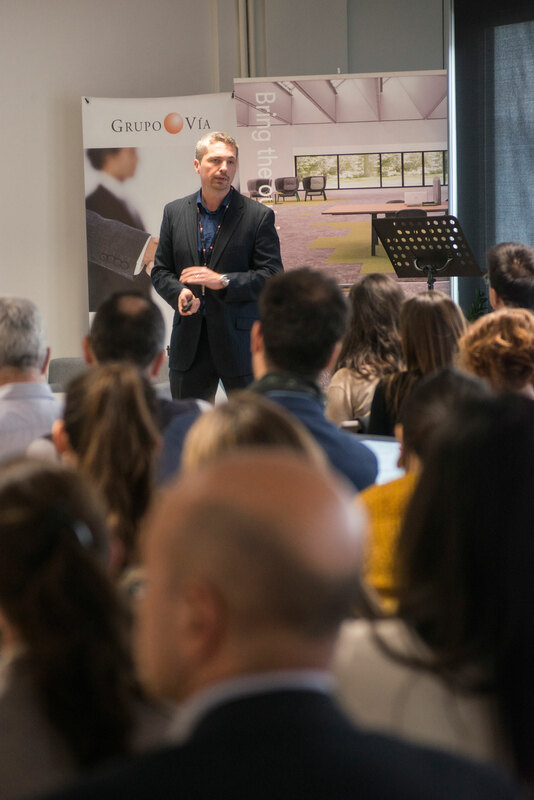 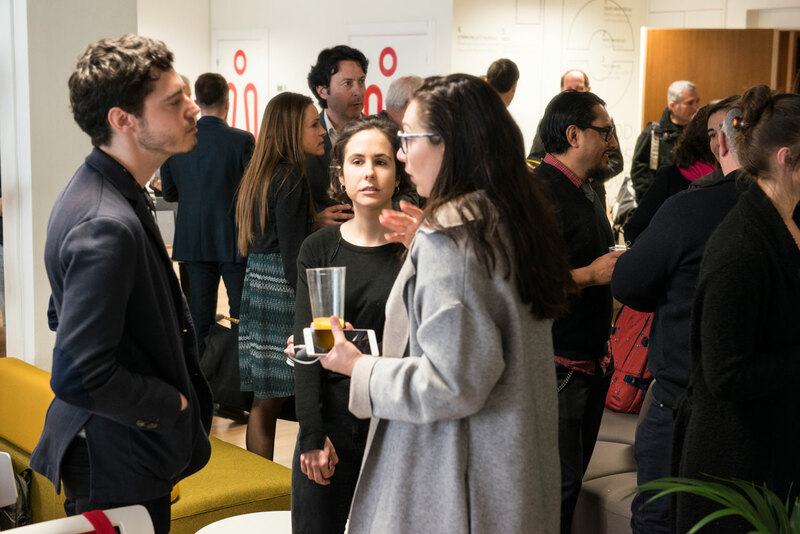 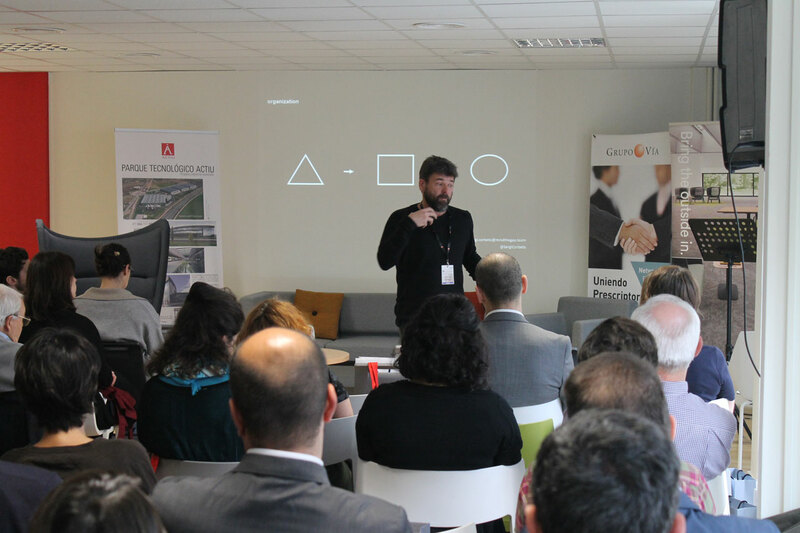 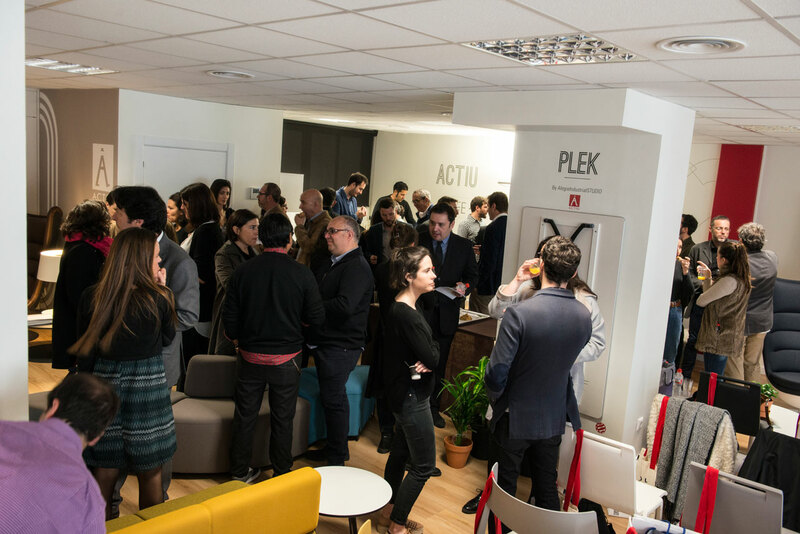 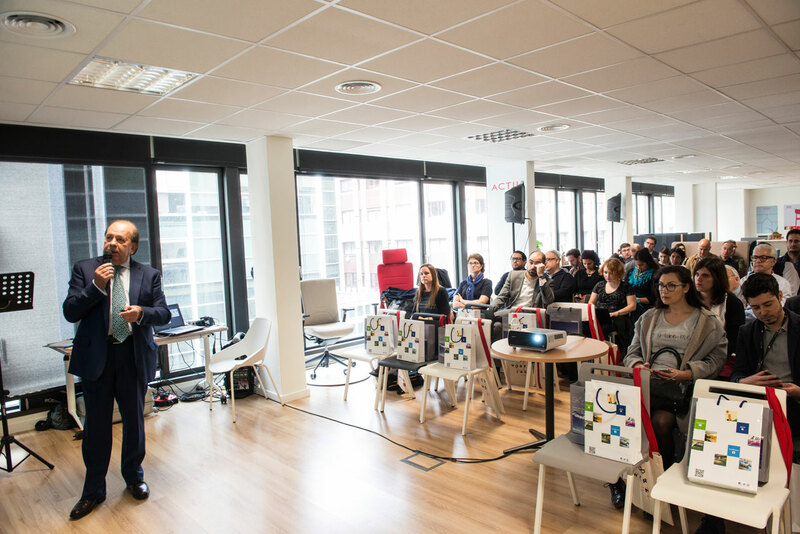 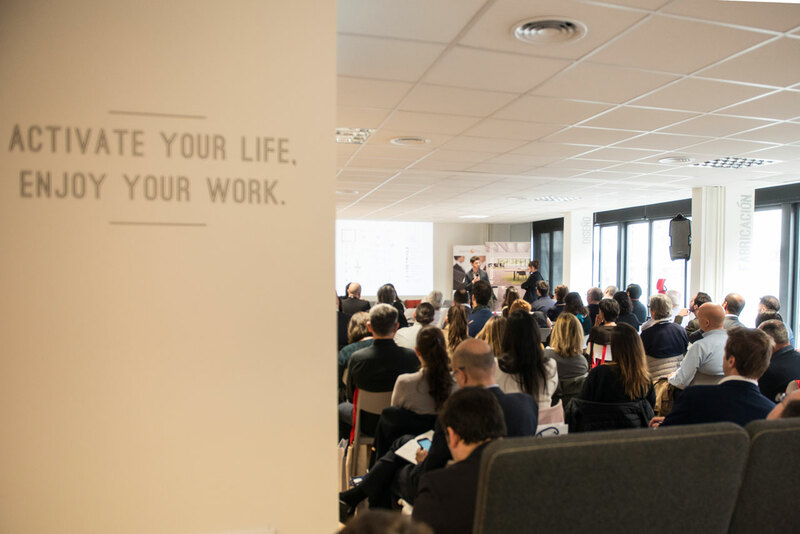 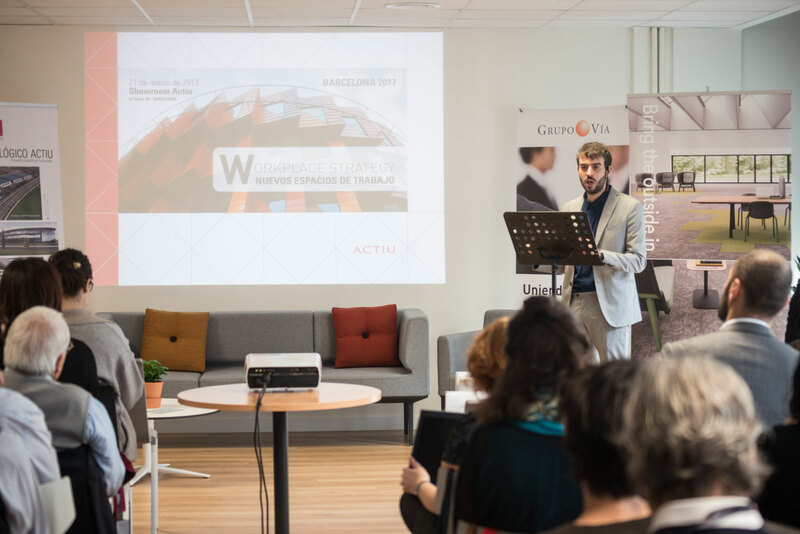 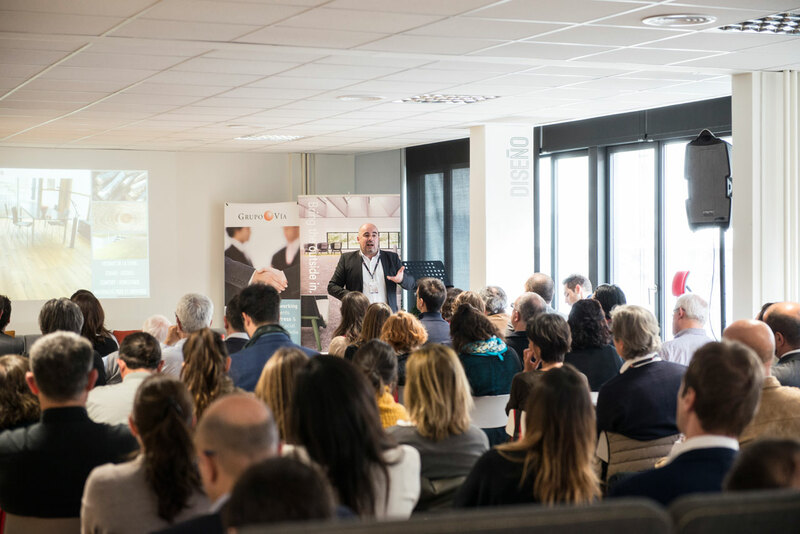 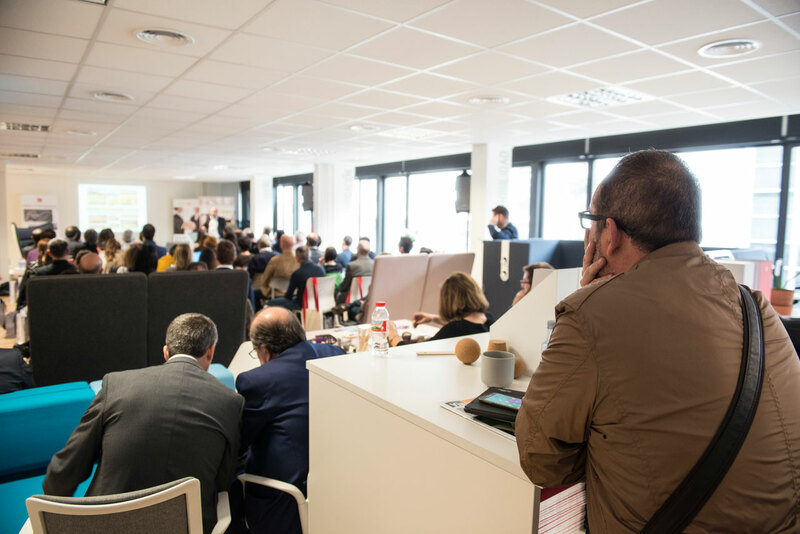 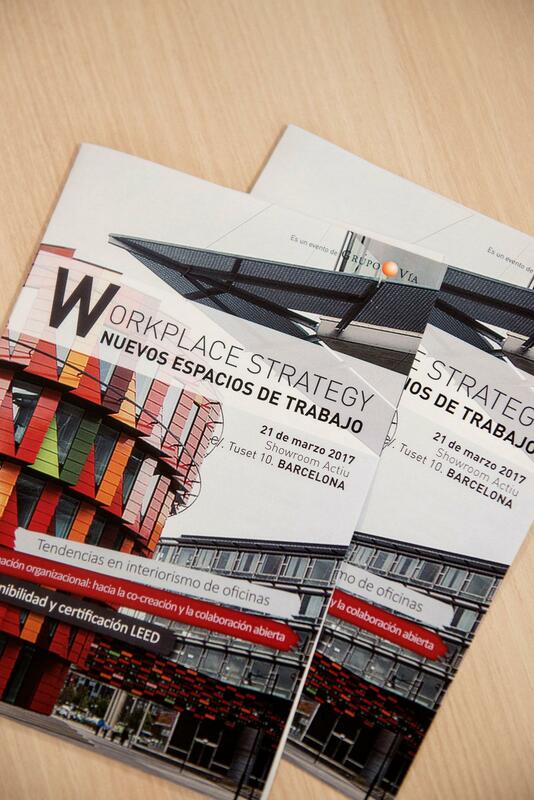 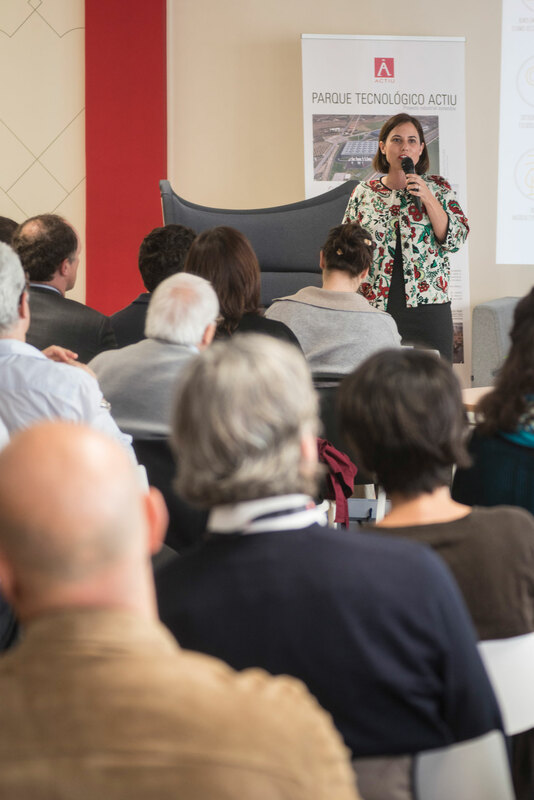 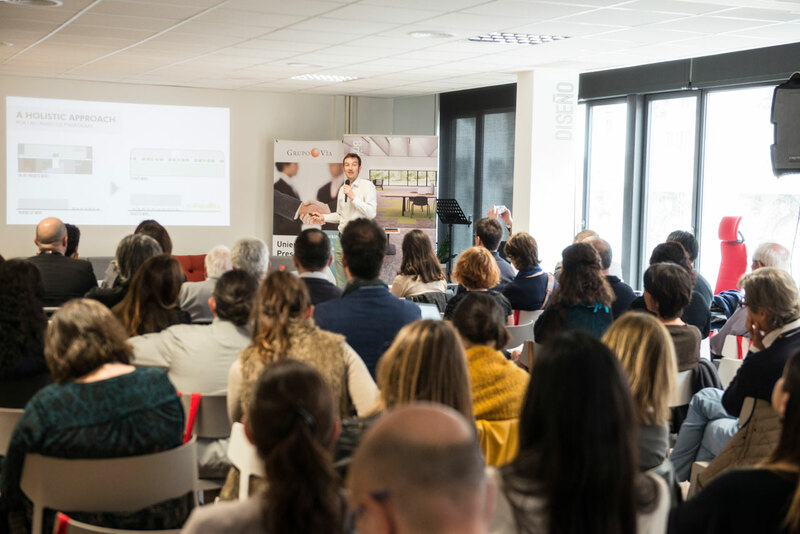 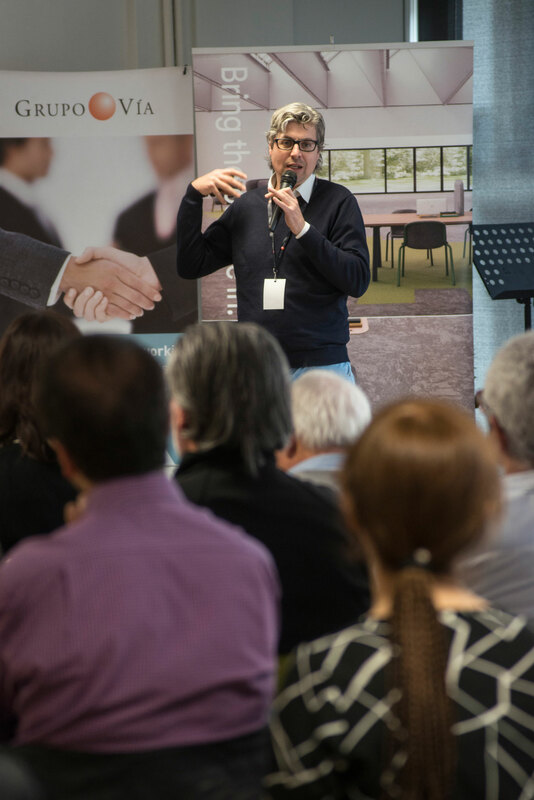 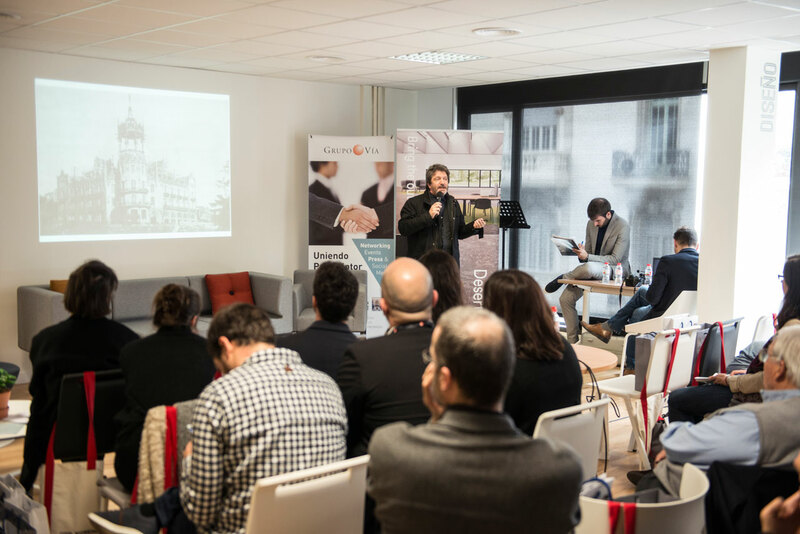 Grupo Vía, in collaboration with Actiu, has organised the second edition of the Workplace Strategy in Actiu’s Barcelona Showroom. 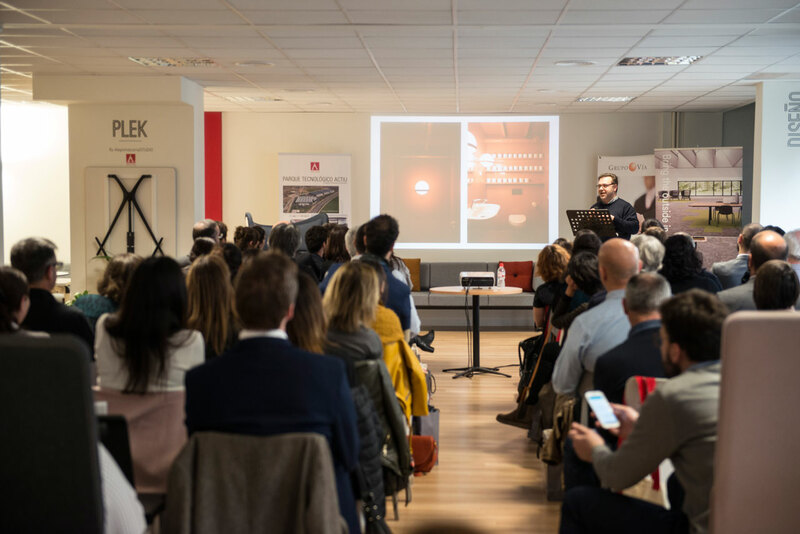 A real thermometer that uses real cases to measure successes and failures, and that also serves, to a great extent, as a way of understanding which new items are the most widely used in the design of offices and the role that furniture plays in them. 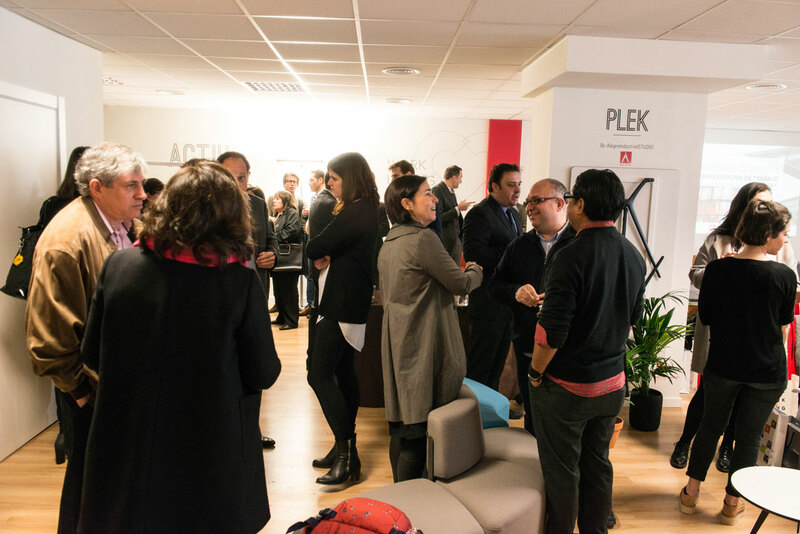 Society has changed; it communicates, moves, organises, and leads in a different way from just over a few years ago. 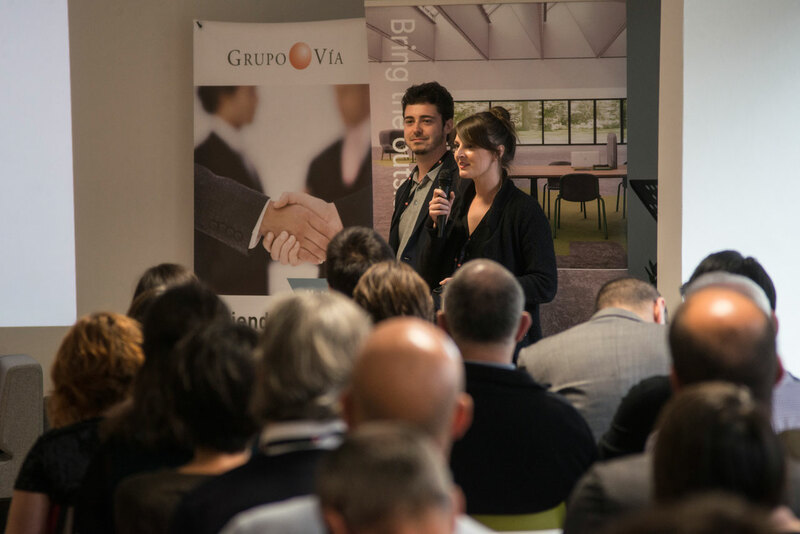 As a result, a company must also do the same. 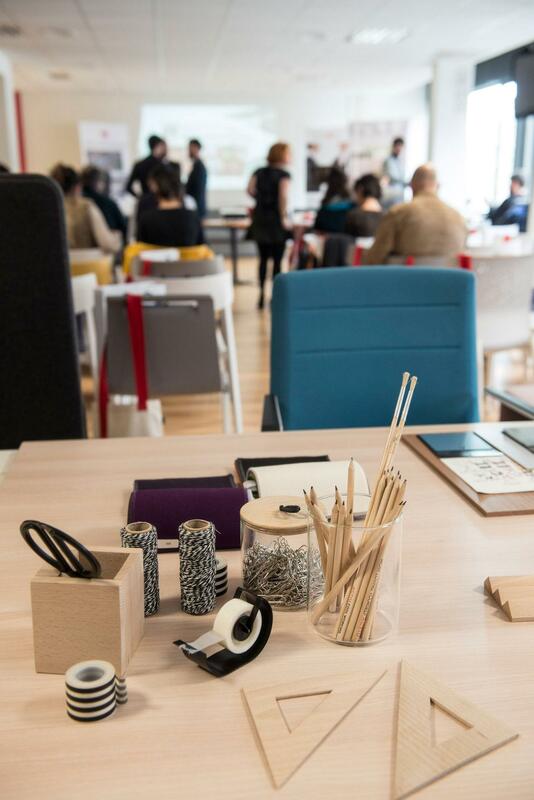 Each company is a world within itself. 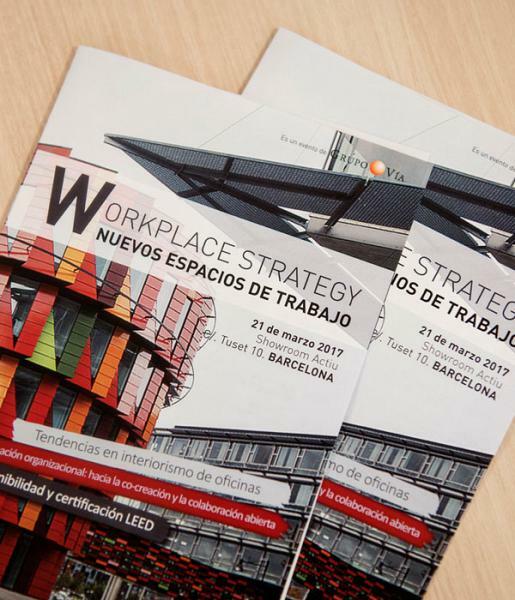 And each one has different issues from the rest, depending on its productive nature, how it's organised, its size and the needs of its people such as their wellbeing and productivity; very much in line with Actiu’s Cool Working, which is committed to the creation of spaces for collaboration, learning, concentration and relaxation through furniture. 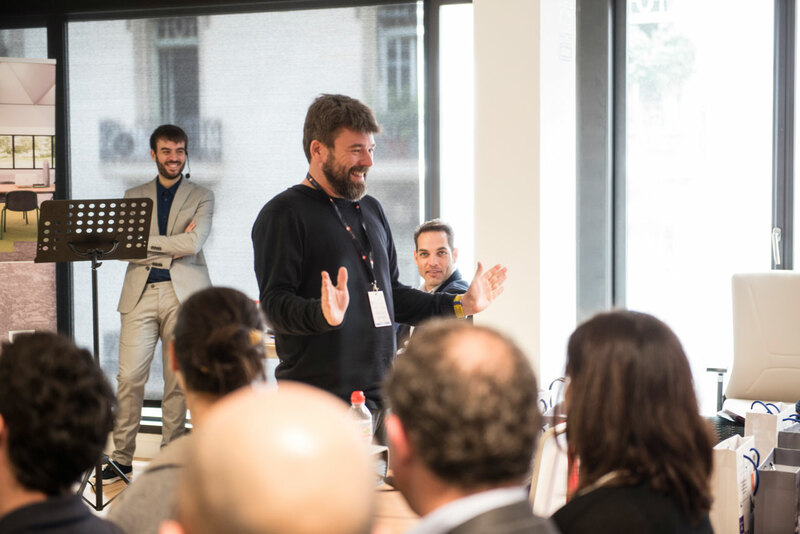 Alberto Gil, from Batlleiroig Arquitectura, knows a lot about this. 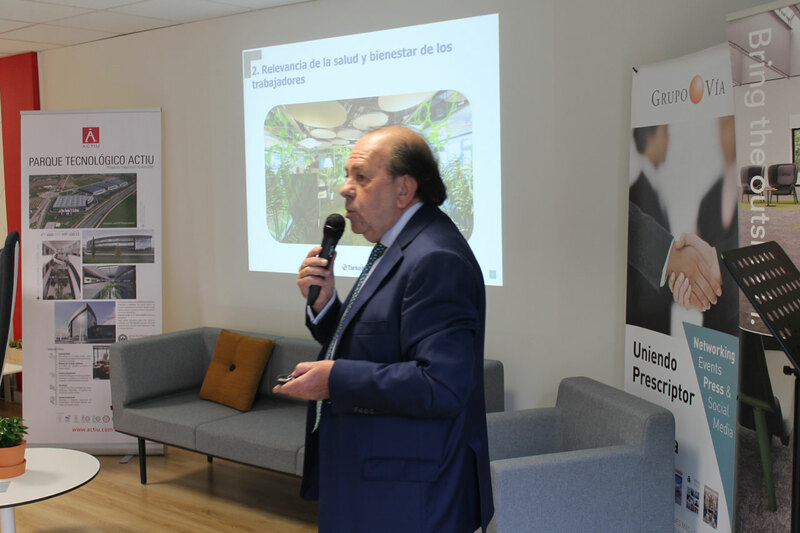 His projects for large companies such as Inditex, Gallina Blanca, Interface or the Generalitat of Catalonia are always of a large magnitude, with many people involved and lots of variables at stake. 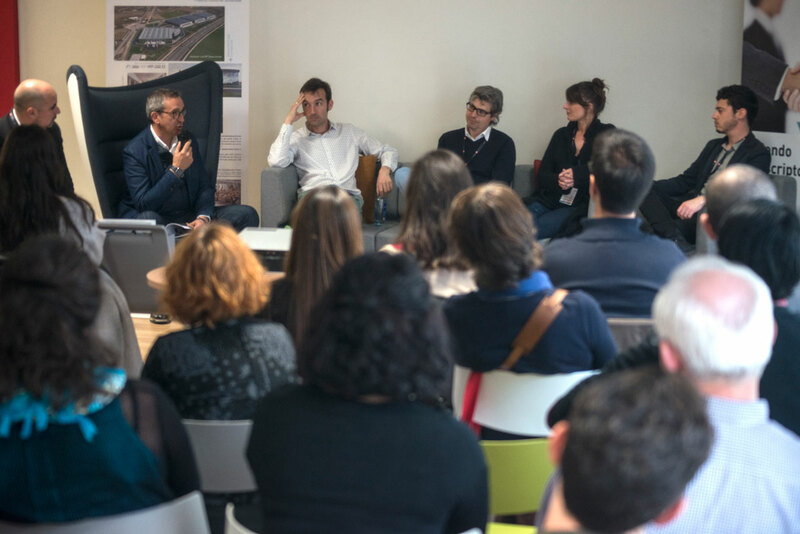 “In large projects the holistic vision that allows us to coordinate all of the work teams involved is fundamental in order to generate an outcome that meets the expectations and real needs of the workers”, explained the architect. 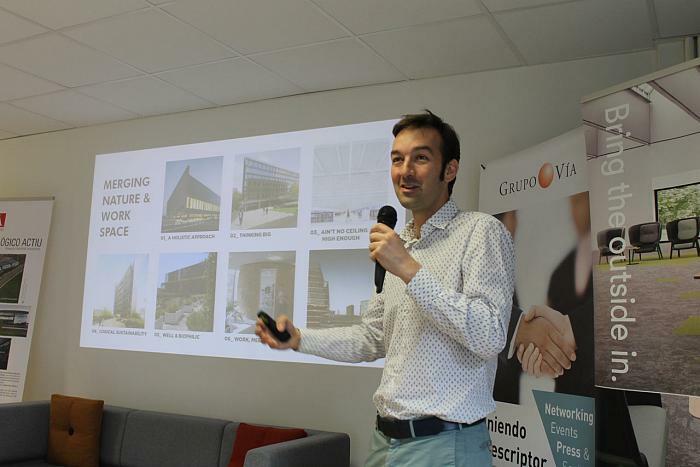 “There are seven key concepts in each project: a holistic approach, optimisation of resources, the search for high ceilings, logical sustainability, biofilm and a healthy environment, avoiding the uniformity of spaces and the importance of where the offices are built”, Alberto Gil of Batlleiroig Architecture. 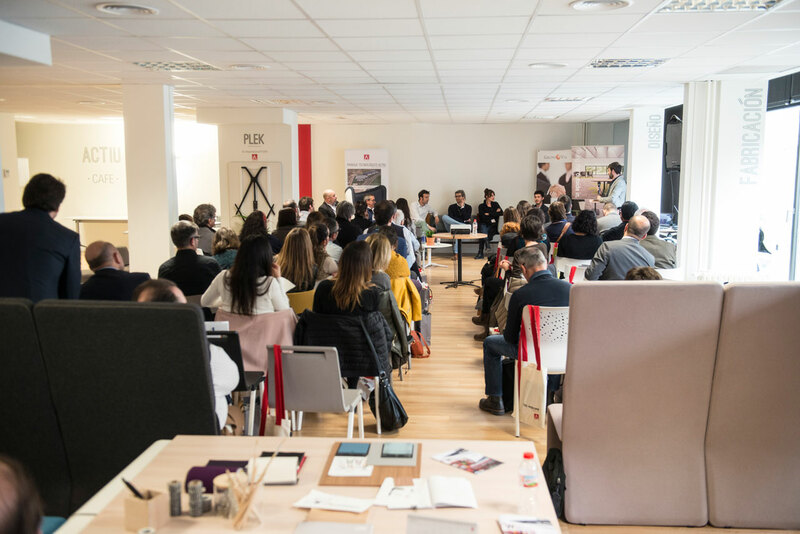 In the case of Alfredo Arribas, of Alfredo Arribas Arquitectos Asociados, his success is based on giving new life to buildings in disuse. In fact, he has been renovating the historic modernist building La Rotonda in San Gervasi in Barcelona for ten years and that is currently home to offices. 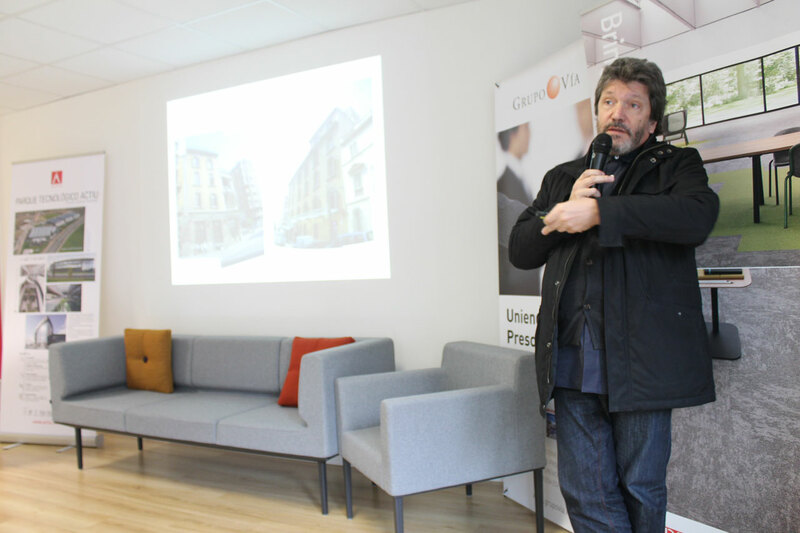 “As architects we have tried to revive an abandoned architectural building with new uses and with complete respect for elements from the past. 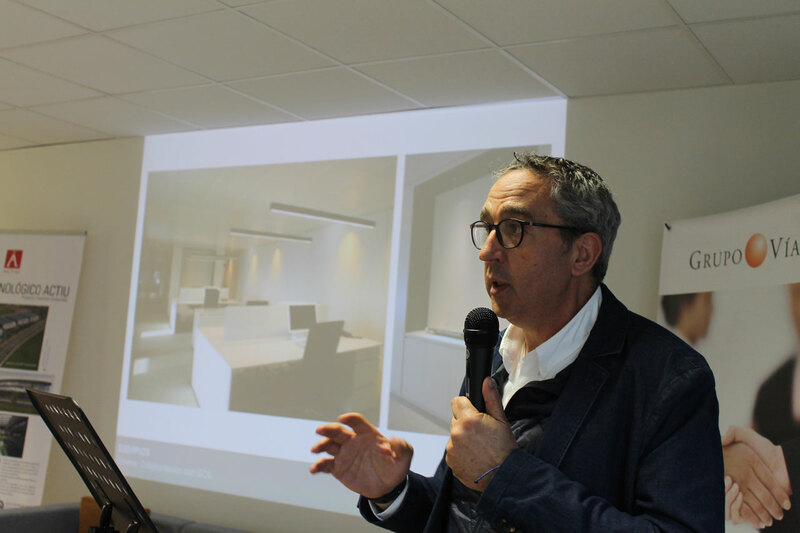 And to create offices in a privileged space with a clear brand identity that, in addition, returns the splendour that this mythical building has lost”, he explained. 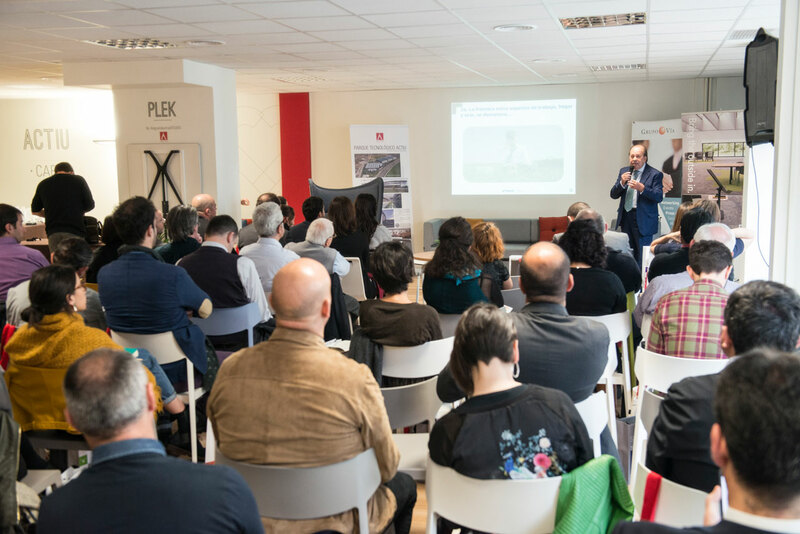 “Reviving an abandoned architectural building with new uses and with complete respect for elements of the past.” Alfredo Arriba. 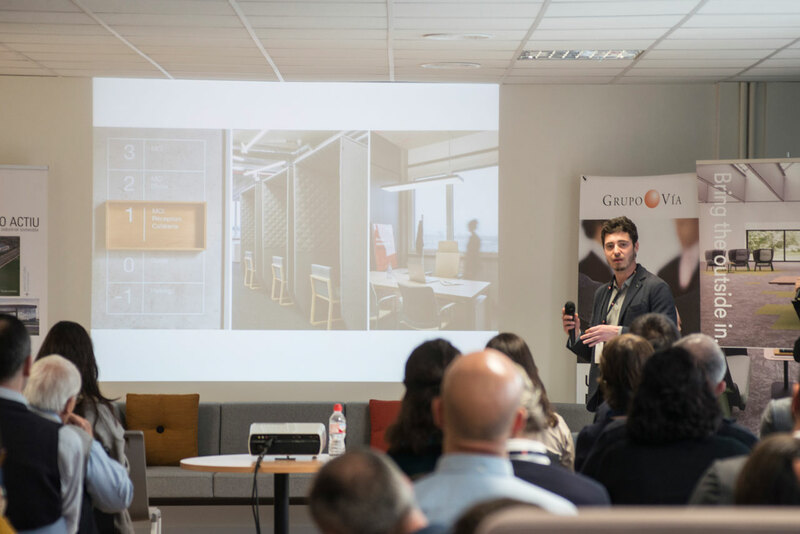 For Emilio Ollé of Instaldeco, for example, “different studios demonstrate the importance and positive effect of creating different areas within the office, with organic tables, elevating tables, collaborative workspaces, the phone box, the focus room, creative rooms or areas for resting designed with natural, recycled materials that are acoustically soundproof, which help boost productivity and give a greater homelike feeling”, he explained. 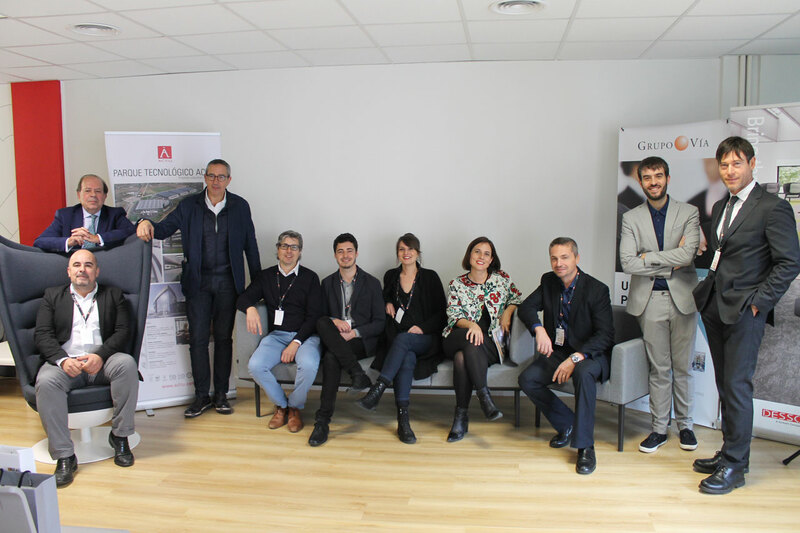 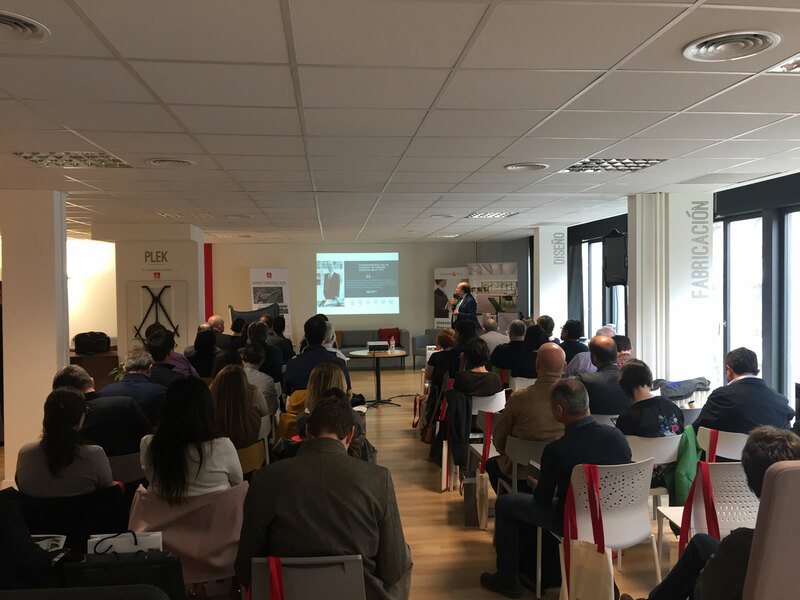 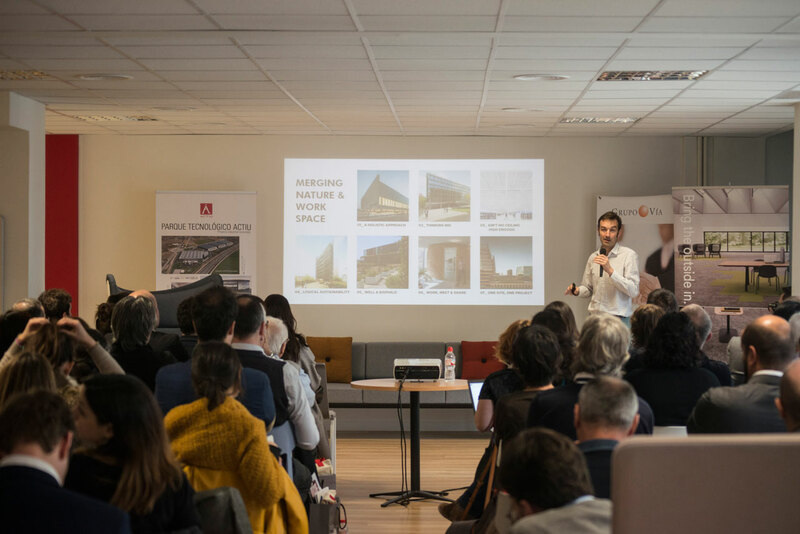 The latest international projects coming out of Barcelona were introduced at the conference, including the new corporate headquarters for Kawneer in Montepellier (France), which are being developed by Alotark. 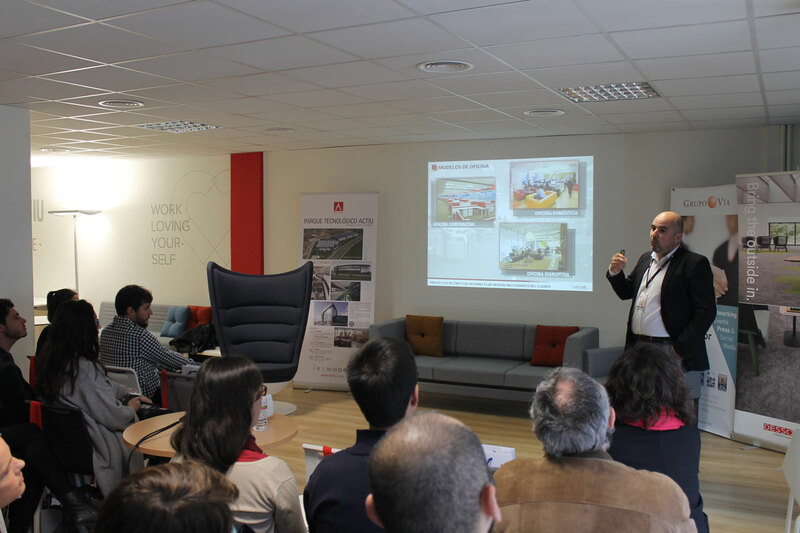 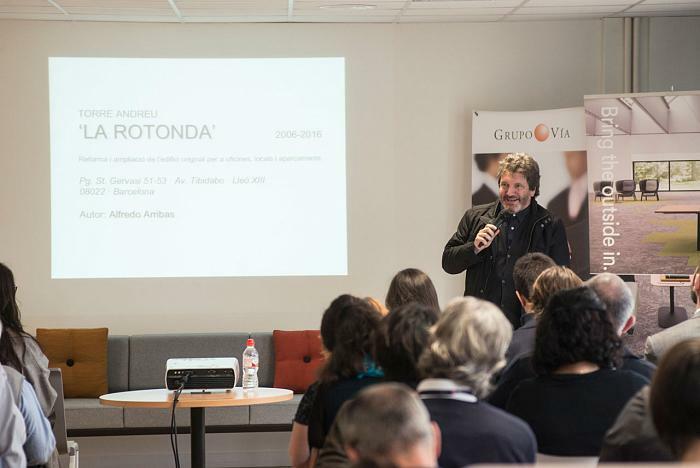 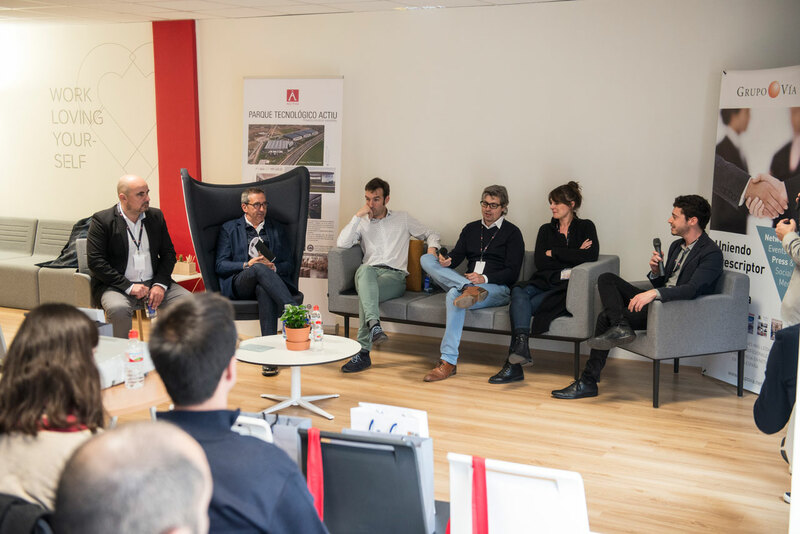 Koldo Crespo, founding partner of the firm, revealed the key aspects involved in this major logistics center and office complex in France, which has managed to combine safety, efficiency, appearance, transparency, stakeholders and sustainability. 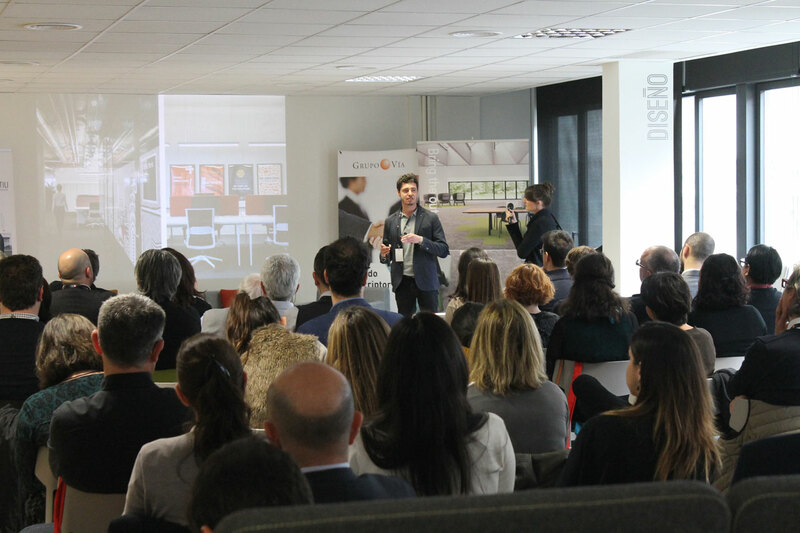 Crespo’s presentation also examined how approaches that incorporate retail concepts, as well as the quest for more home-grown offices that emphasize employer branding and the way in which space can create experiences and leave lasting impressions, have resulted in a shift towards buildings and away from traditional office space. 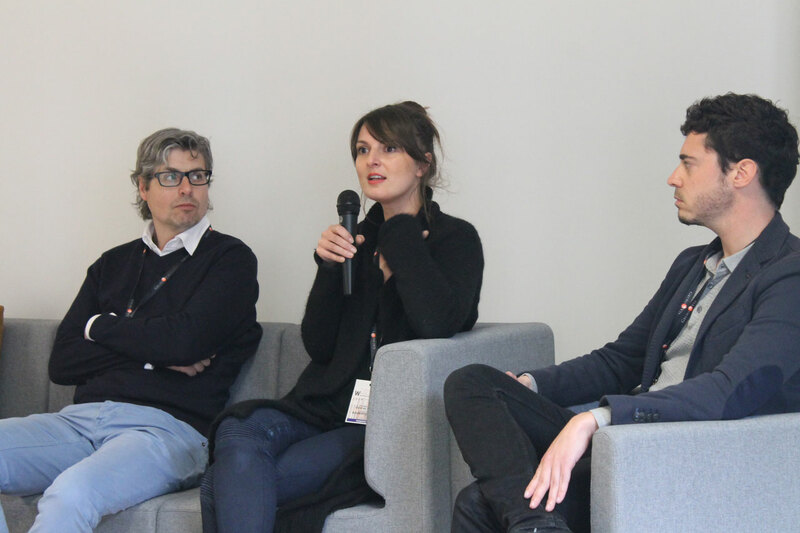 The young team at Bloomint Design, Caroline Savin and Manu Bauza, talked about key concepts such as “experience, innovation and community” with a commitment to new uses and a flexible space with social and work spaces in which business areas are separate from introspective areas or areas for interacting with the community. 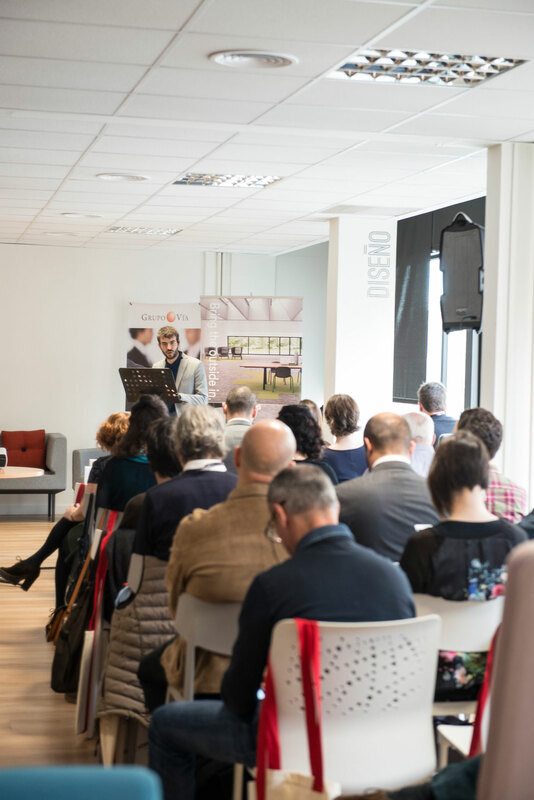 On this issue most of the speakers stressed the importance of creating flexible, functional spaces that are comfortable and to the liking of the people who use them. 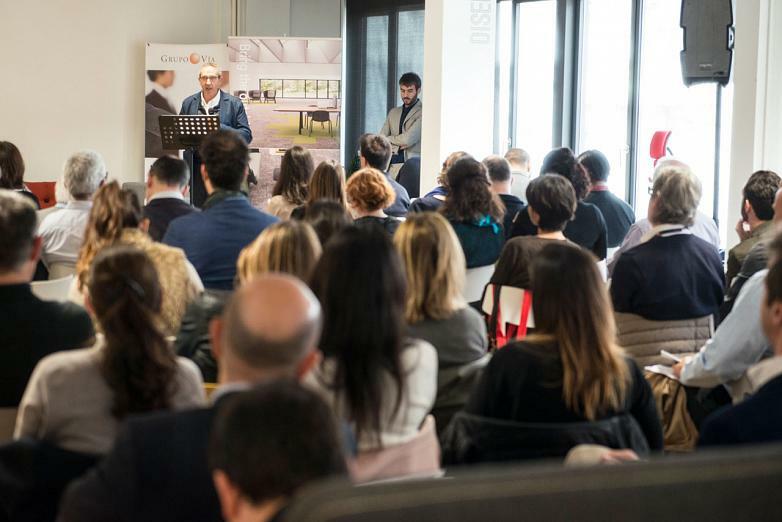 In this sense, Albert Giralt, CEO of Prodeca Barcelona, considered that office trends are moving towards “more open spaces, eco-friendly decoration, relaxing and stimulating spaces, with productive meetings and multifunctional furniture and accessories”. 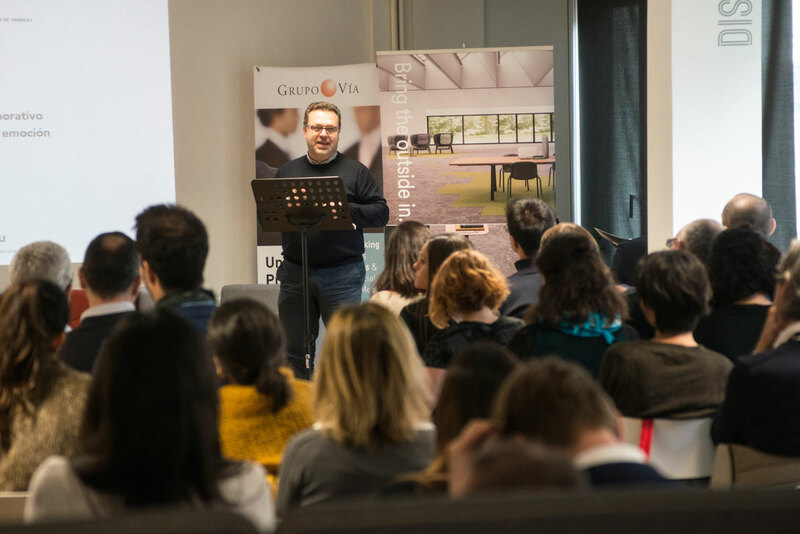 Architect Stefano Colli, founding partner of SCAD Proyectos, unveiled his vision for corporate interior design with projects for Gustavo Gili, E-Binari, Banco Madrid and Joan Gaspar, which have entailed striking a balance between reason (efficiency, sustainability, viability and profitability) and emotion (beauty, aesthetics and style). 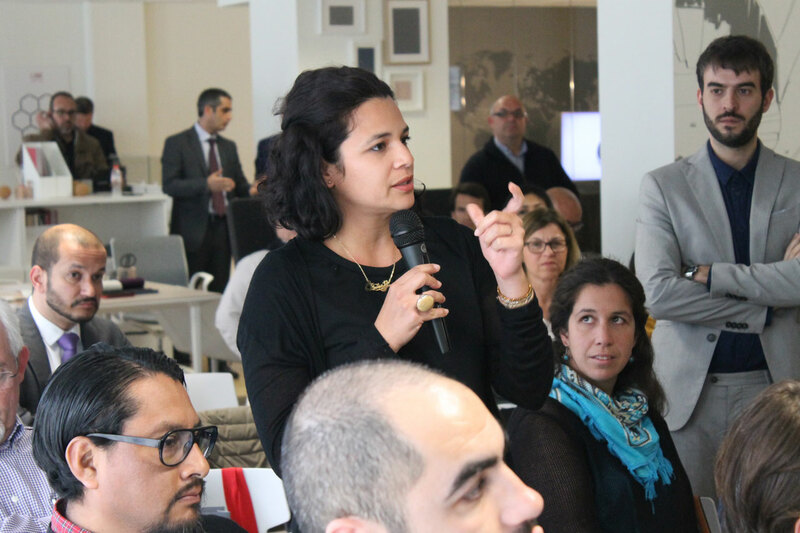 Mind The Gap, proposed reflecting on issues related to employment management and development within an organisation. 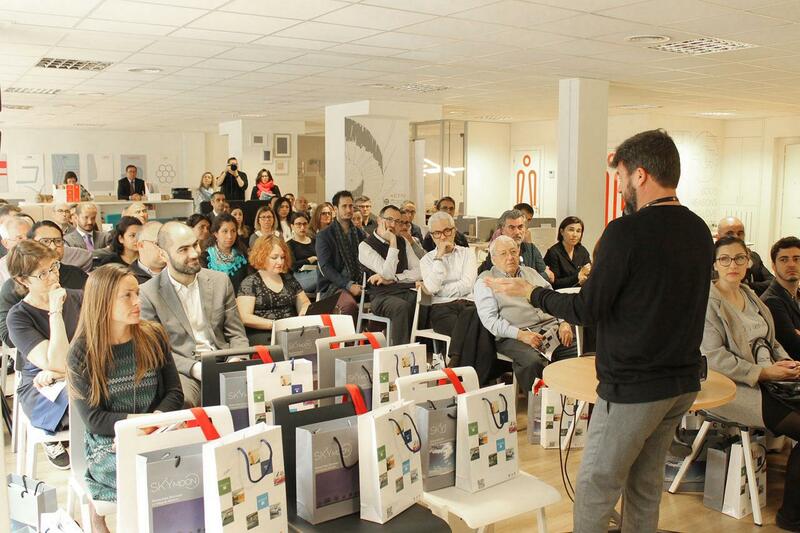 People are the key. 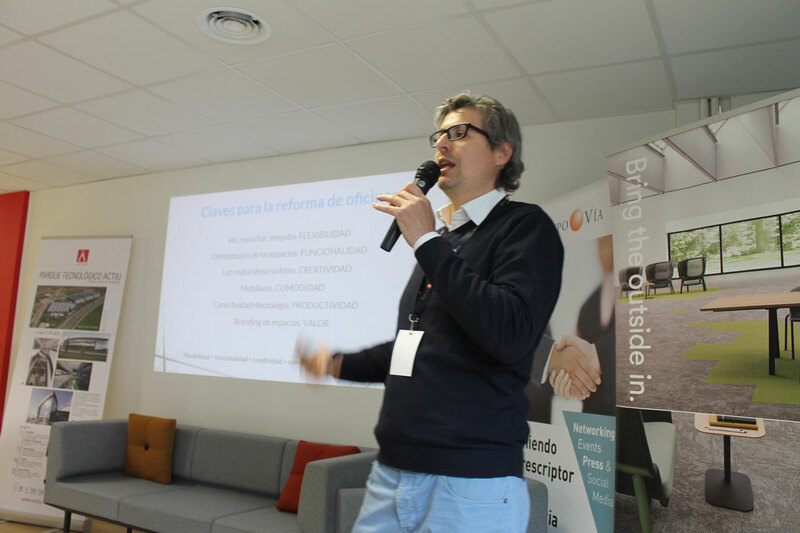 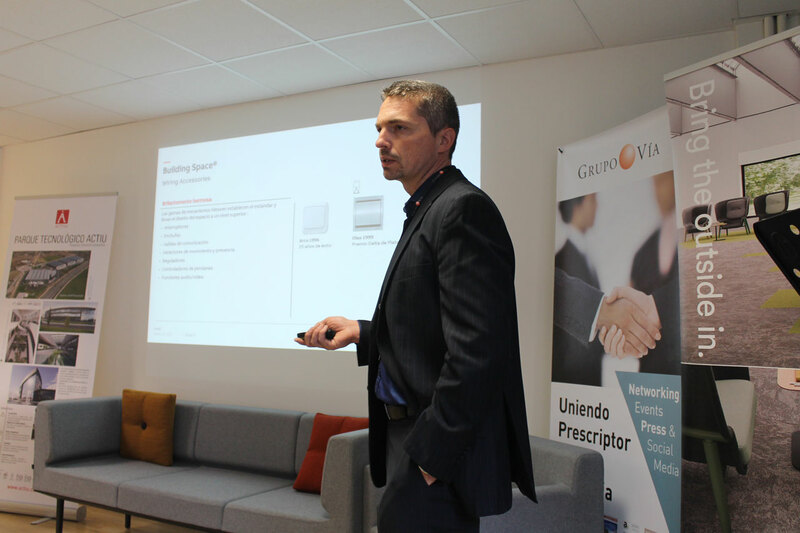 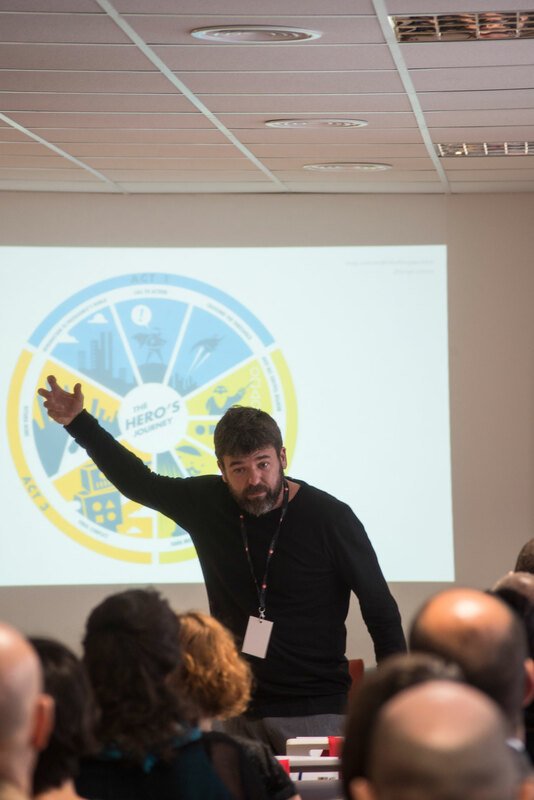 “Today more than ever, sharing and empathising is fundamental, as well as changing traditional forms of organisation”, explained Sergi Corberó, CEO of this consulting firm. 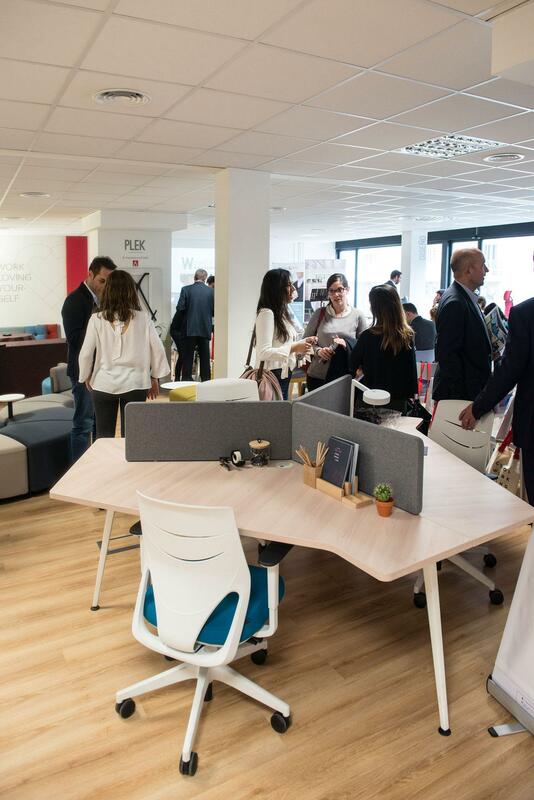 In this sense, furniture has lots to contribute, with open work spaces where the employee is at the centre. 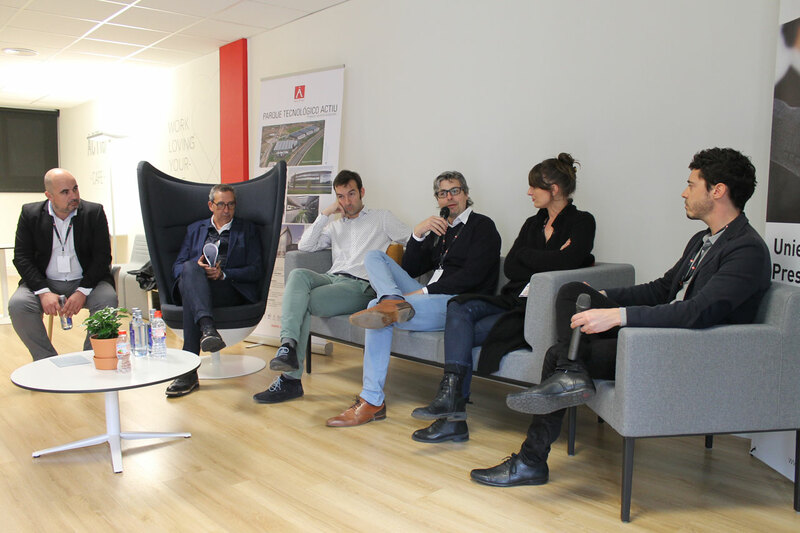 In short, everyone agreed on the importance of creating different environments, defining customised solutions for each client, combining reason and emotion (beauty, aesthetics and style) in the space and playing with elements such as furniture, lighting or flooring to provide comfort and thus achieving more efficient organisations. 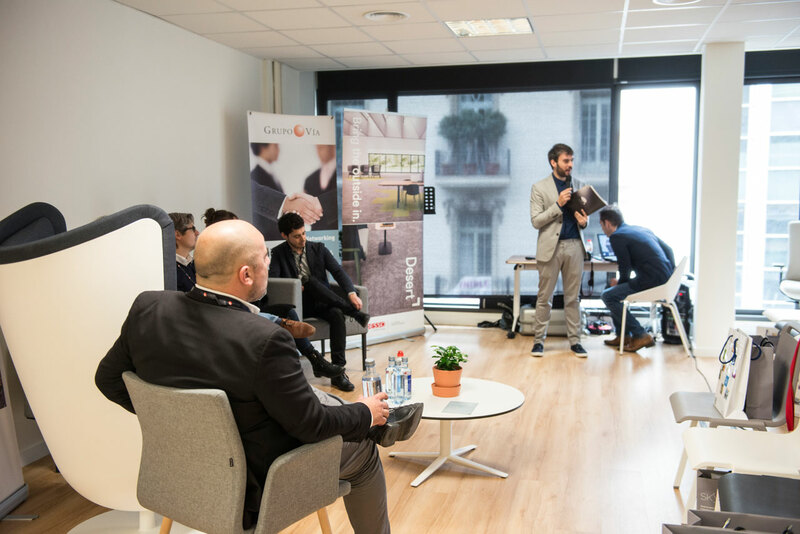 Home > News > The office of the future, who is setting the trend? 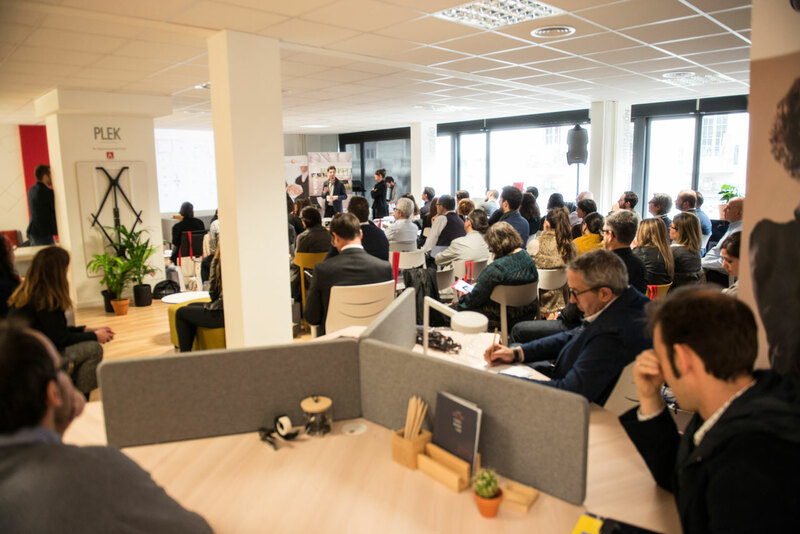 Home News The office of the future, who is setting the trend?